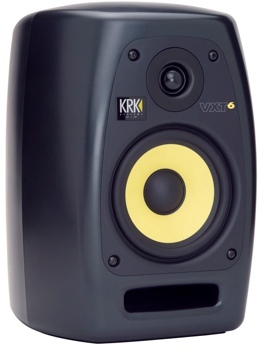 These near field monitors have a 6" woven-Kevlar woofer and bi-amplified with 90 watts. These have a wonderful bass response and sound clear. These have a nice feature, you can adjust the high- and low-frequency response for precise sound in any room. They retail for about $450 each. For more info visit KRK here.